Gift Baskets & Hampers aren't just for Christmas. There are plenty of gift giving occasions throughout the Summer too, and so we thought we'd share the top reasons our Customers are sending gifts this season. The Summer months are a prime time for saying "Thank You", to Teachers, to pet/house sitters or to holiday home lenders. 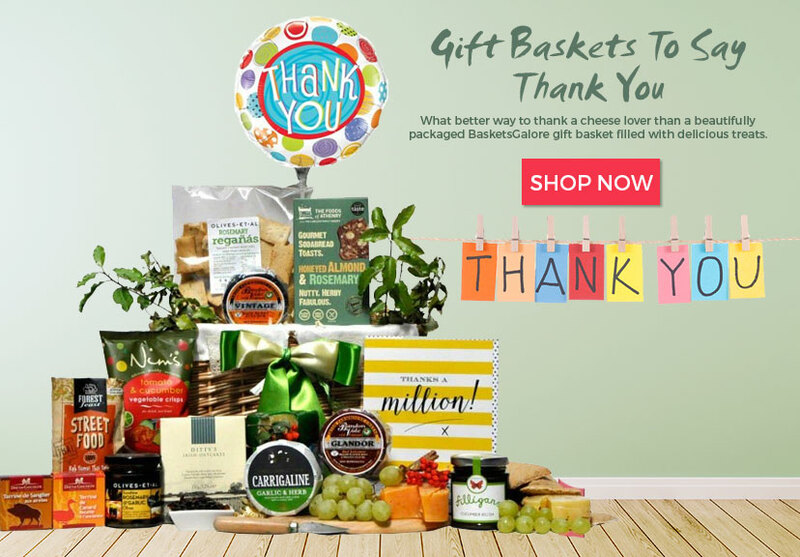 Thank You Gift Hampers can be the Cheese & Wine variety or freshly baked goods. We tend to theme them with a "Thank You" balloon and gift card. Summer is also a very popular time of year for Weddings, and in turn Anniversaries. Luckily we've got all bases covered, so all you need to do is browse on. 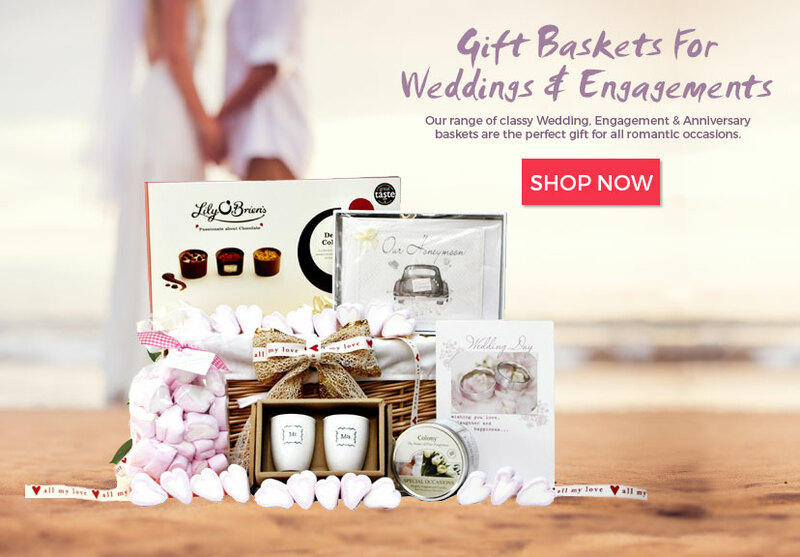 We have specially themed Wedding and Anniversary Gift Baskets with photo albums, candles, cards, tea towels, plaques and egg cups. Finally, it's also a busy time for Congratulating Students in terms of exam results, Graduations and new colleges/jobs. 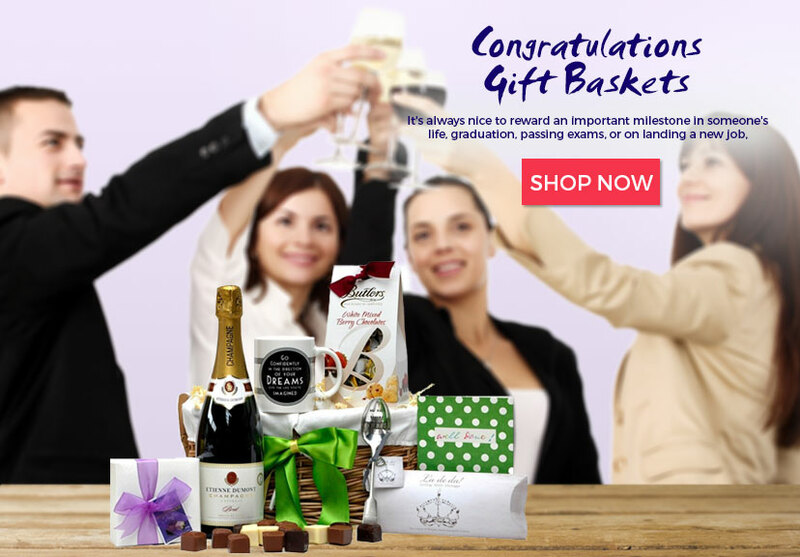 Popular items in Congratulations Gift Baskets are champagne for toasting and chocolates for a well deserved treat.